What can one say about this famous city that hasn’t been said already? It’s a city of romance, of culture, of floating down the serpentine Seine in a glass-covered boat, sighing as you glide beneath architecturally magnificent bridge after architecturally magnificent bridge. It’s a city to surely swoon in as you reach the dizzying heights of the top of the Eiffel Tower to see the “City of Light” spread out before its graceful metal feet. In fact, if you listen carefully as you walk through Paris, you can hear the soothing strains of Maurice Chevalier, Yves Montand, Edith Piaf or the jaunty accordion score from “Amélie“. Aaaah! Paris! Well, believe it or not, Paris really can feel like that when you go and visit it out of season, as we did. In the summer, everywhere feels just a little bit too hot, overcrowded and rude – there’s too much pushing and shoving and not enough loving going on. But on a cold bright January morning, you can stroll across the Place de la Concorde, deftly skipping to avoid the potentially hazardous Parisian traffic, and you can really feel like this beautiful museum of a city belongs to you. For a metropolis of it’s size (an overall population of about 10 million), it’s more jam-packed with charm and beauty than any other city I’ve ever been in. Sure, New York has got more energy, but are sky-scrapers as nice to look at as the Champs-Elysees ? London has some nice parts, but is it as pretty as Paris? And Prague may be pretty, but the truth is that you could fit ten Pragues into Paris. Although, the mantle of cultural capital of the world seems to have drifted across to the other side of the Atlantic in recent times, the city is undergoing something of a revisionist revival at the moment. Its current mayor is Bertrand Delanoë – being a gay member of the Green Party, it’s fair to say that he’s a different kettle of fish than his predecessor Jacques Chirac. But the green gay guy has already made a name for himself with some popular and exciting innovations that have injected a new burst of energy into the Paris mix. So, now you have people playing volleyball on a beach in front of the Town Hall (Hôtel de Ville) during summer, and people skating on an ice rink in front of the Town Hall during the winter. A weekend in Paris always feels just a little too short when there is so much to do and see. My advice is to pick out one or two places to visit and spend the rest of the time strolling and sussing out atmospheric bars and restaurants. 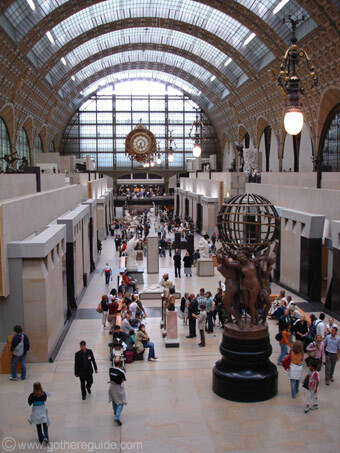 If you’re like me and your attention span goes after about 20 minutes inside an art gallery and you don’t know a whole lot about art but you know what you like, then you’ll surprise yourself at how much you’ll enjoy the Musée d’Orsay gallery (metro Solferino). Built in a former railway station, it seems to have all the most famous and inspiring pictures and sculptures from the impressionist era and before it. Even more importantly than all those works of art, it’s worth noting that the main restaurant serves fine food in decadent surroundings and a commanding view of the Seine at democratic prices. Speaking of restaurants, if you are going for the traditional French fare, there are numerous to choose from, located throughout the capital. I followed my nose (well, the wife’s nose, actually) and found the wonderful “Bistro du 7ième”. It’s located at 56, Boulevard de la Tour-Maubourg, close to “Latour Maubourg” metro station. The food is good quality traditional French fare, with a multiple-choice set menu for €18 and a warm welcome. Try finding that at home! Another area worth gravitating towards if you’re there for a short break, is the Marais area. Literally meaning “the marsh”, this historic part of town is the closest to what Paris was like before the Revolution. It’s basically all the area around and behind the Hôtel de Ville. By day, it’s pleasant and lively. By night, it’s buzzing and happening, with a great choice of bars and restaurants in one of the hippest parts of town. It’s a bit like Temple Bar, but without so many lager louts. If you want rougher, then head north for Montmartre. 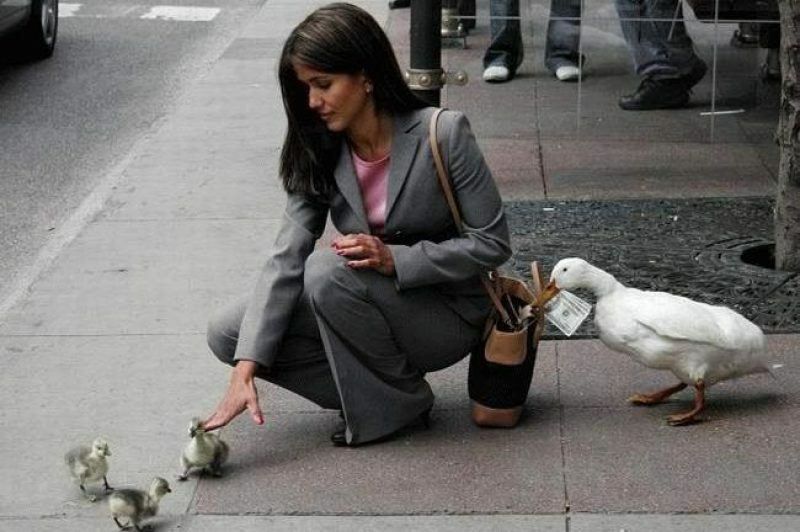 Despite its saintly name, it’s a notoriously lawless area, where you really do need to watch your wallet – something which my wife unfortunately failed to do. Normally, this kind of incident would upset us, but Paris seems to have the capacity to soothe these anxieties. So, we simply rang home, cancelled the credit card and headed to the nearby “Bistrot des Artistes” for 500ml of Alsatian beer with the cash that the pickpocket didn’t get. The owner there, upon hearing of our plight, shook his head and tutted and suggested some rigorous punishment for the faceless offenders. There was, he told us, even an open market for thieves in the Montmartre area not far from where we were sitting, where crooks from all over the city openly sold and traded their ill-gotten booty. The cops didn’t even want to know about it, he told us with a sniff of contempt. It was nice to get a little sympathy. He still charged us €6.50 for the beers, though.